At Plume Voyage, we decided to pay tribute with the words of our journalists, their very own words, our pictures and drawings. At Plume Voyage, we will continue, but there are words you do not want to say, that are not part of our vocabulary, that we leave to others, those who tarnish, break and steal. Life thieves, breakers, black men with a black heart. The poor ones. At Plume Voyage, we will continue to honor you, travelling and related good vibrations , good energies to share. We will prefer to use smooth words, generosity, lightness. We will continue to keep our eyes wide open and bring you and tell you the beauty that exist in this world. and we will continue to highlight Paris, our town, our home, our heart. Broken for the moment but not for ever. We are honoring you, the ones who are gone. Thinking of you and your families. We love. We love you. We support you. 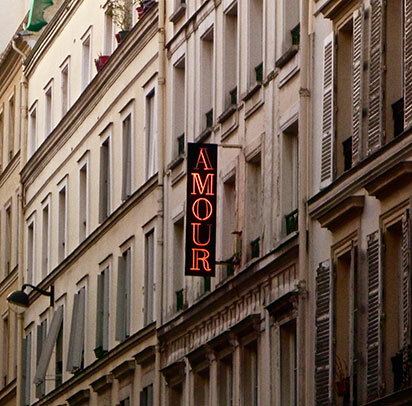 We are French, Parisian, we’re travelers and worldwide citizens. 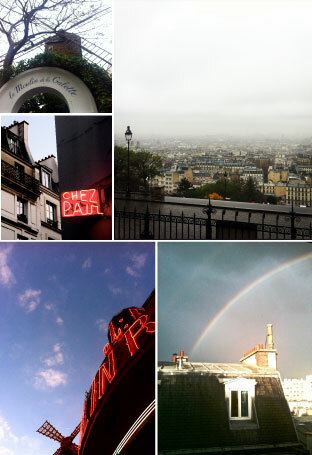 Paris, I love you in every season! January sliding on the snow around the lake of the Bois de Boulogne, there are no boats, we will wait a few weeks for boating but the cries of children that burst in all directions are cheerful! It’s cold in February but the days lengthen as we can notice it when getting out of the Louvre at 5 PM, tourists admiring the pyramid before sitting down at Café Marly. In April, we feel like being unfaithful to our beloved city and spinning but it’s getting warm so what’s more exciting than a boat trip on the Seine river, its banks or dancing the tango on the docks near the Grande Bibliothèque? June the best month in Paris, everyone seems to forget his worries, we are in the excitement of the holidays and the last projects: work or holidays … we dine out and we laugh on terraces … This looks like happiness! Septembre C’est la rentrée ! Les Parisiens se retrouvent comme si ils s’étaient quittés de longs mois, beaucoup d’excitation, les cahiers à acheter, on retrouve une âme de gosse en respirant l’odeur d’un livre de géographie tout neuf parce qu’on a plus trouvé le modèle d’occasion place Saint Michel chez Gibert Jeune ! September, back to school! Parisians find themselves as if they had parted for long months, a lot of excitement, books to buy,we feel like a kid again breathing the smell of a brand new geography book because we could not find the used on in place Saint Michel at Gibert Jeune! October, let’s have good resolutions: I promise this fall we will visit each Grand Palais exhibition, stroll in Orsay, run to Galliera, enjoy a ballet at the Opera and listen to a concert in Bercy, give our advise on serious plays that we will see on the Grands Boulevards, their is even jogging in the air every morning at the Tuileries! November. One of the highlights of Parisians’ life: having friends from abroad over. Let’s (re) discover the city and going back to childhood by climbing up the Eiffel Tower, the Arc de Triomphe and taking a chocolate coffee at the Museum of Man at the Trocadero or at Angelina on Rivoli street and why not crossing Paris by bus. November 13th, 10 PM, Paris 16th. The evening is in full swing at Sandrine’s. Bodies are swinging in the hubbub of a pretty carefree celebration when the first text messages make their way into the sounds of the party. Faces are panicking, phones are agitated. Some join a quieter room. We turn on the TV. The grim death toll is ticking. A BFM journalist is here. She leaves the apartment in a rush. Everyone is trying to reach their close-ones. Relatives are going ok, but what about the others? Dice of chance are in turmoil. One was at the Bataclan three hours ago. A journalist friend is trapped inside. Yet another gave a concert there the day before. The son of an acquaintance was shot in the thigh. Others are stuck in the 11th where cafés had their door smashed by the Raid. And then there are the silent ones. Most distant friends whom we will discover the loss, over the following days. Still, the reality of the drama unfolding on the other side of Paris gradually swells to invade the entire space. It is scarcely midnight when the last guests leave. Returning home in a desertic Paris with a pale face on. Looking at the Eiffel Tower suffused with light, so beautiful but so threatened. Feeling already nostalgic, of the carefree peaceful years . Of the confident brotherhood. Of the quiet certainties. This time, the party is over. Dazed, paralyzed, shocked, horrified … I could go on trying to describe the feelings that assailed me throughout this horror weekend. So many shattered lives, no one I directly know did I selfishly say to myself, but so many people I meet every day, in my professional life, at the terraces of the same cafes where I go, where my daughter and her friends would take a drink, where we’re all going. How to get on with life? Daring to go out again, having fun without going to cry? Simply by wanting to avenge them. Because it is only by assiduously going to the café, restaurant, walking freely in this beautiful city that we will honor these missed people . I returned to Paris, my city, our city. Dead or alive. My daughter and her friends started to wander again at the mercy of rainy shiny streets, to marvel at the rising day on the Seine. To enjoy this great gray color chart that gives Paris this so uniques atmosphere. To marvel at the towers of the Conciergerie, the lights that shine on the cobblestones of the Place de la Concorde. Paris … I was born there, I learned to walk, run and ride a bike at the Tuileries, I have admired artworks in the Louvre for the first time. I am one of those who were born here and who have been wandering all over the place for 30 years. Today I feel disoriented and sad to see what happens to my hometown, my Paris … but I will not yield. Paris keep its freedom and joy of life and I will do everything to help. That night the whole city stopped. Everyone remained flabbergasted, stunned, watching around. The breath taken, snorkeling. What’s going to happen ? And all night long hanging on the news. Flow of bad news. So many dead, wounded. First thoughts for the relatives. And finding damage, pain along weeks. And coincidentally, a cold, rainy gray sky above the city. A week after the terrorist attack as if it was accompanying our sadness. And then I waited, attended the stream of words, of emotions to express images, reactions, often beautiful, sometimes bizarre. Everyone went about his comment … all the world responded with its guts. Everyone was touched. Despite himself. The storm has passed. The pain remains, a contained pain, a shared pain. One could perceive it, in newspapers, streets, breathing, confusion in when looking at each others. Even terraces, cafes, streets that were still emptier than before, before the day that changed everything. Afraid that my children no longer stretch like a cat in the morning as I taught them, afraid that I can not accompany them in the morning to school, with shaggy hair, dressed anyhow. Fear of not being able to go to dinner with my girlfriends, fear of not having the right to get a coffee, by myself, at the counter, fear of not going watch the “Nympheas” at the Museum of the Orangerie whenever it suits me, afraid of not attending a play, fear of not being able commenting, fear of the beautiful Palais Royale gardens and the Buren columns could be destroyed , fear of not being able to offer education and the culture of my choice for my children, afraid that the freedom given to me would be denied tomorrow. Afraid these idiots could still manage their bad ideas. Afraid they keep on stealing lives, youths, laughs and dances. Afraid they bring us in their macabre play. Lest darkness takes over. I gave myself time to realize, accept the unacceptable. How to keep going again? I’m Parisian, French of Korean origin, with an Alsatian Jewish name, my children are Korean-Lebanese, born in Paris. Their father is Lebanese maronite. Because I was afraid that my values, my culture , the mixed world I love disappear one day as violence and the imprisonment become daily , and in honor of my country, France that raised me , I will continue to talk about beauty, joy, greed and travel. They say that travel is freedom.